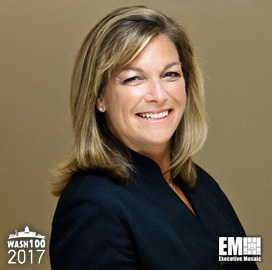 Executive Mosaic is honored to announce DeEtte Gray, president of the intelligence and security sector for BAE Systems‘ U.S. subsidiary, as an inductee into the 2017 edition of the Wash100 — Executive Mosaic’s annual selection of the most influential voices in the government contracting arena. Gray has held her current role at BAE Systems Inc. since she joined in 2012 and has nearly 20 years of experience in information technology, cybersecurity and intelligence analysis programs with defense and security customers. 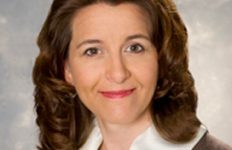 She previously worked at Lockheed Martin (NYSE: LMT), where she began her industry career in 1999 and took up positions of increasing responsibility in the course of her 13-year service at that defense contractor. 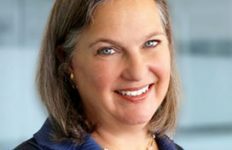 Science, technology, engineering, mathematics and cyber are key areas that industry, government and academia can invest in to develop future talent in the field of cybersecurity, Gray told her audience at a 2016 conference of the National Initiative for Cybersecurity Education. “We need cyber training that adapts to security threats… and we need agile cyber education initiatives that are capable of educating students about the impact cyber attacks pose worldwide,” she said in her keynote speech at the event. The BAE U.S. intelligence and security business under Gray works in areas such as weapon systems integration and information-sharing platform development for government and military customers. BAE Systems Inc. provides test engineering, IT and integration services to the U.S. Navy in support of the Strategic Weapons System and Attack Weapons System on Ohio-class submarines and the U.K.’s Vanguard-class submarines under a $368 million contract. 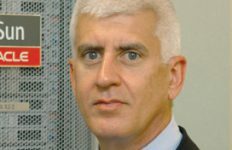 The Air Force Research Laboratory has also tasked BAE this month to build and maintain systems that work to secure exchanges of sensitive data across government and military networks over a potential five-year period. 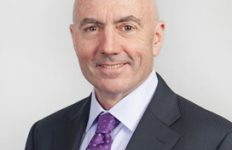 “We’re helping our customers innovate advanced cross-domain technologies to enhance virtualization, boost data processing and support the integration of machine learning solutions,” Gray said. Executive Mosaic congratulates DeEtte Gray and the BAE Systems Inc. team for their selection to receive this award.